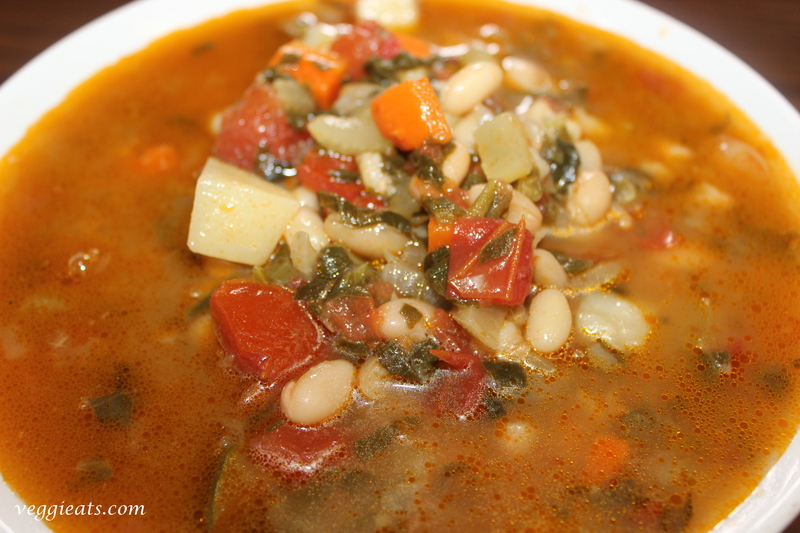 In a pot , over medium heat, combine tomatoes, onion, cloves and vegetable broth. Bring them to boil for about 20 minutes to blend all the flavors. Remove from heat and run the mixture through a blender or food mill into a large bowl . If using food mill discard any stuff left over in the food mill. In a empty pot, melt the butter over medium heat. Stir in the flour to ale a roux, cooking until the roux is medium brown. Gradually whisk in a bit of the tomato mixture , so that no lumps form athen stir in the rest. season with sugar, salt and pepper and adjust the taste. 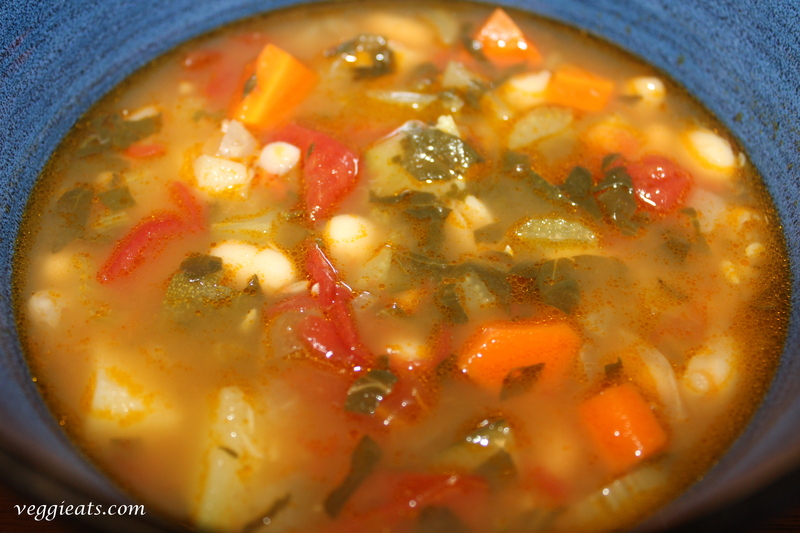 This Italian meal is just not hearty and healthy but it’s really flexible too…There’s something incredibly satisfying about using up whole bunch of vegetables, beans and vegetable broth, this soup is a meal in itself . Remove and discard the stems from the spinach. Wash, chop and keep them aside. Heat oil in a large stockpot. Add the leeks, carrots, onions and celery and sauté over medium heat until softened. Add the stock, potato, zucchini, spinach and tomatoes. Bring it to a boil, reduce the heat and simmer gently for 1 hour. stir the beans and salt to taste. Simmer just until the flavors have blended, about 10 minutes. 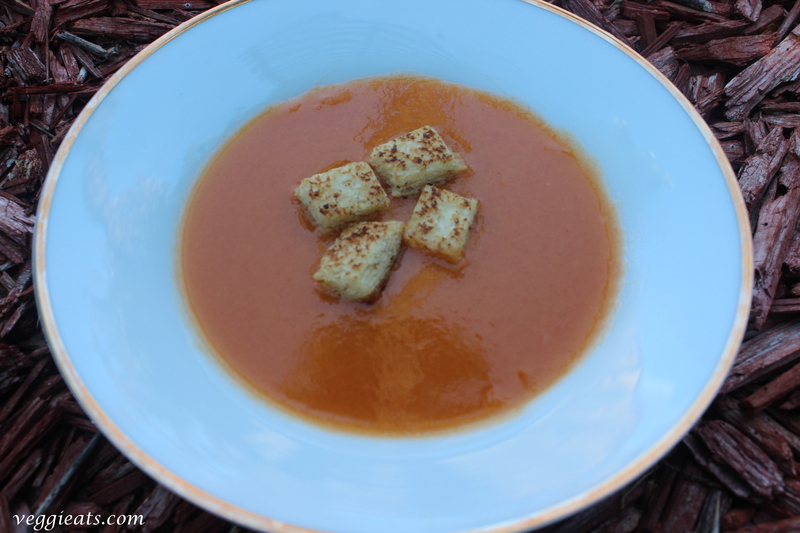 Ladle the soup into warm bowls and serve immediately with grated cheese! I made this purée for an italian dinner party and it was an elegant crowd pleaser! 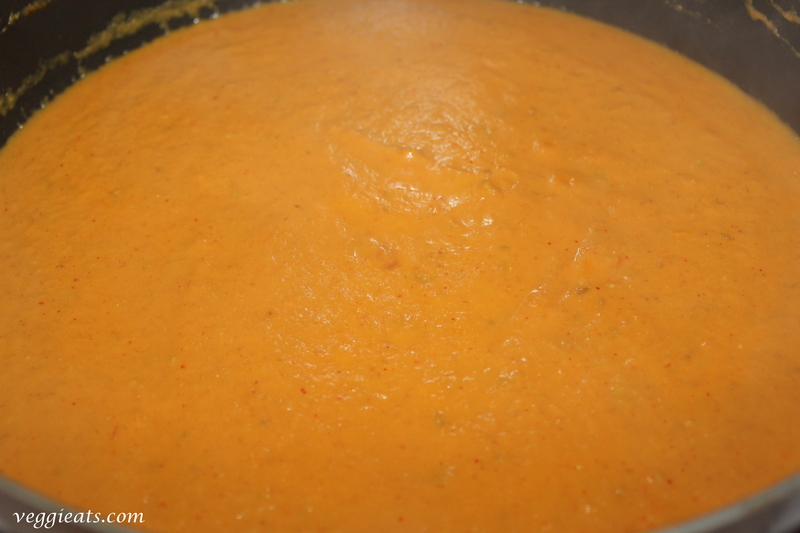 Filled with loads of flavors which are distinct, dense and absolutely delicious.. you can not go wrong with this recipe, its simple and easy to make… This puree is great served as a dip/spread along with a sliced baguette or pita chips. Place the sun-dried tomatoes, olives, garlic, parsley and thyme in the work bowl of a food processor or a blender . Pulse, scraping down the sides of the bowl as needed, until all the ingredients are coarsely chopped. Pulse in oil, 1 tbsp at a time to form a smooth but a still slightly coarse paste. Scrape the purée into a small bowl. Add salt to taste. Preheat the oven to 400 degree F. Place the bread slices on a baking sheet. Bake, turning the slices once, until they are lightly browned and crisp. 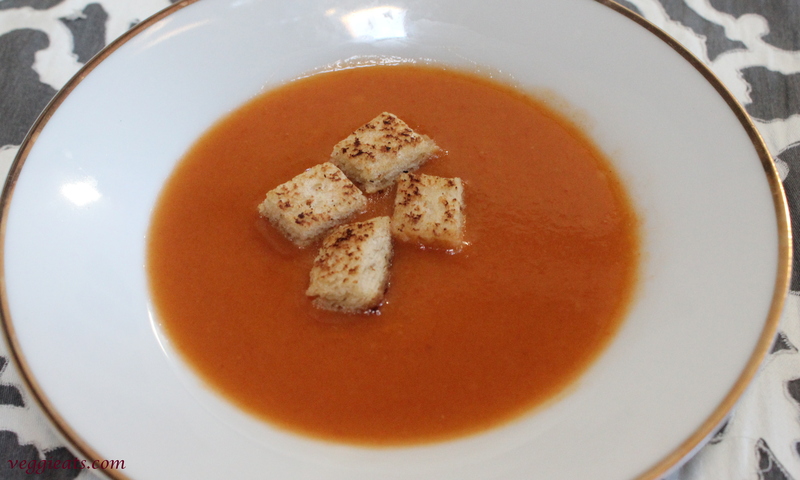 Place the toasted bread slices on splatter and spread 1 generous teaspoon of the purée over each slice. Serve immediately. Bottle gourd is a very unique vegetable and is liked for its simple and mild flavor. 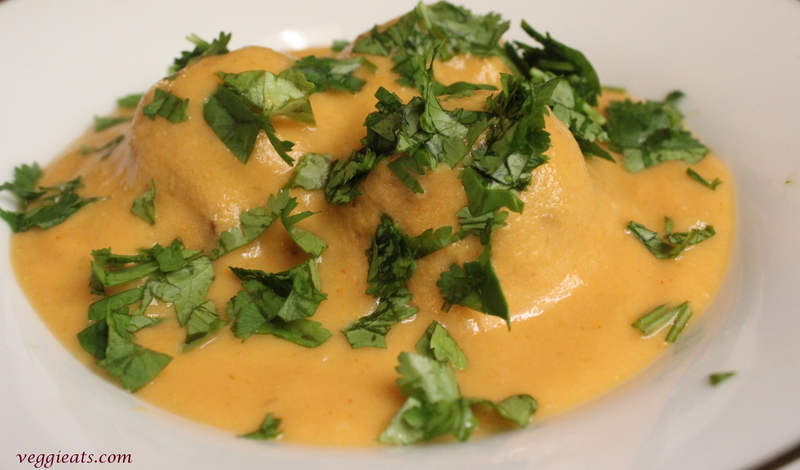 Lauki kofta called in Hindi or bottle gourd dumpling curry is the lightest of all kofta recipes when it comes to calories and I prefer it for the same reason! Heat oil in a pan for frying. Peel and grate the bottle gourd. Squeeze all the liquid from the grated bottle gourd and keep aside, store the liquid as it can used for the curry. Add rest of the ingredients listed under making the kofta and mix well. If the mixture is too thick sprinkle little water and make them into round balls. Add this dough mixture gently into oil and fry until they are golden brown. Remove them from oil and put them on a tissue paper to drain out excess oil. 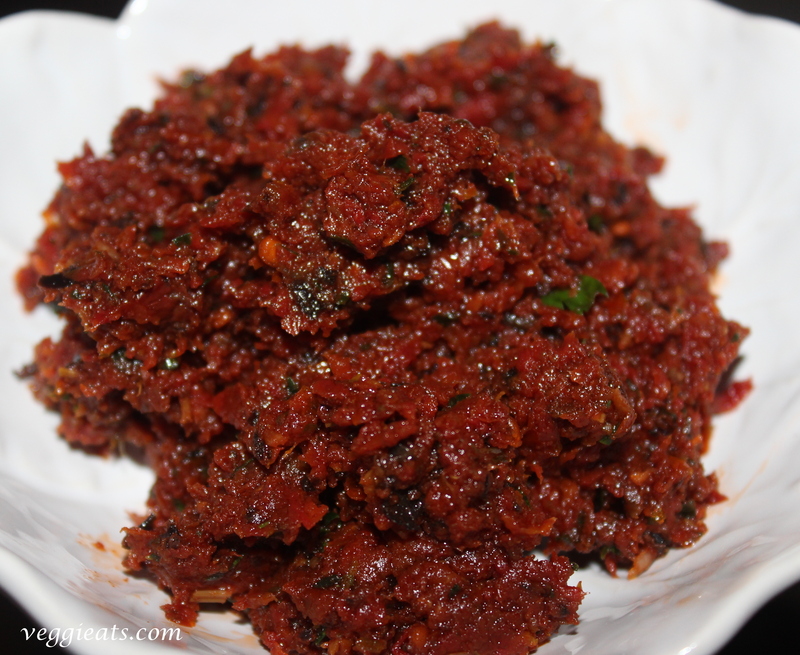 Blend tomatoes, onions, green chilies, ginger, garlic and cashews to a smooth paste, add 1/2 cup of water while grinding. In another pan heat 3 tbsp of oil and add cumin seeds and allow it splutter. Add turmeric and the ground mixture into the pan, keep stirring for a minute. Add 1/4 tsp garam masala, red chilli powder and 1 tsp coriander powder, give it a stir. Cover the pan with the lid and allow it to boil for few minutes. Add the liquid that was reserved from straining and little water if required. The consistency of the gravy should be thick and not runny. 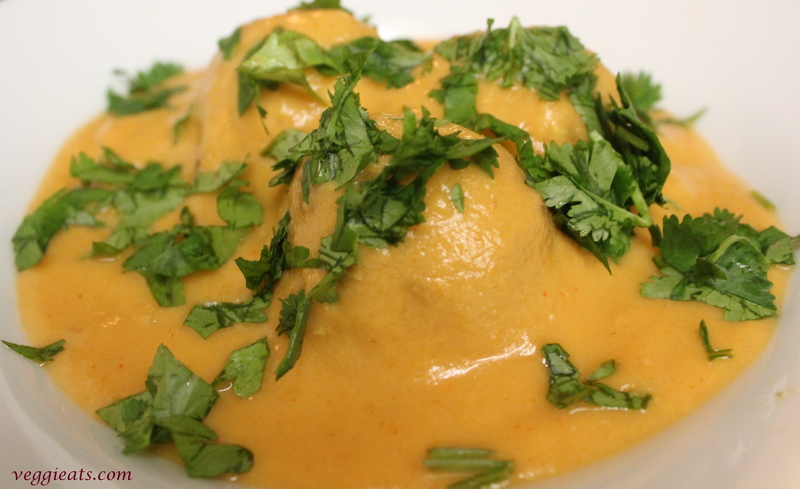 Before serving, put the bottle gourd fried dumplings in a serving plate, top it up with gravy and garnish with cilantro and serve with rice or roti. I was first introduced to this so called “desi pizza” when I was 17 years old… One of the chaat center near my place in India made this pizza. We all were going crazy for this and one day I realized that they were not making any tomato sauce for the base nor were they making a pizza base but added tomato ketchup on a Italian style bread!. This is the most simplest of all desi pizzas I have had and just got reminded of it and baked it at home! 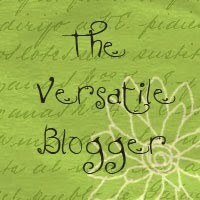 Blend everything together with little water and make a thick paste. 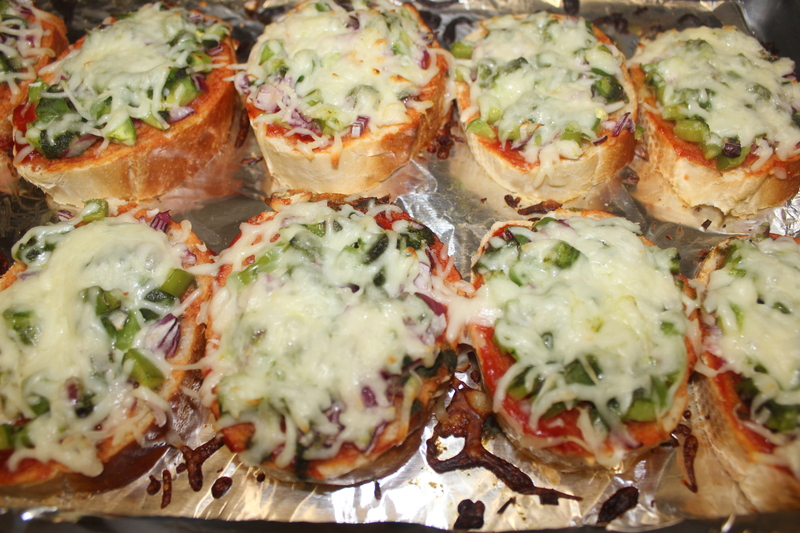 Preheat oven to 350 degree F. Make half-inch thick slices of the bread. 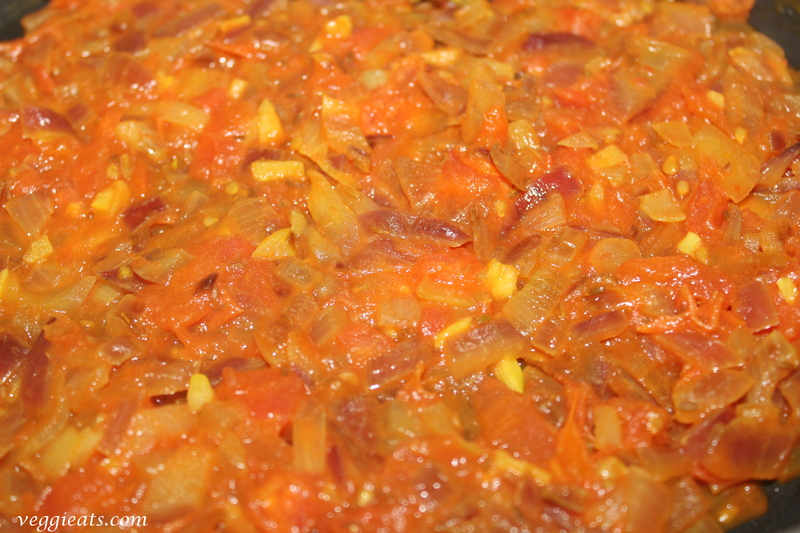 Arrange the slices on cookie sheet and spread 1-2 tbsp of tomato ketchup on the slice following by mint chutney. 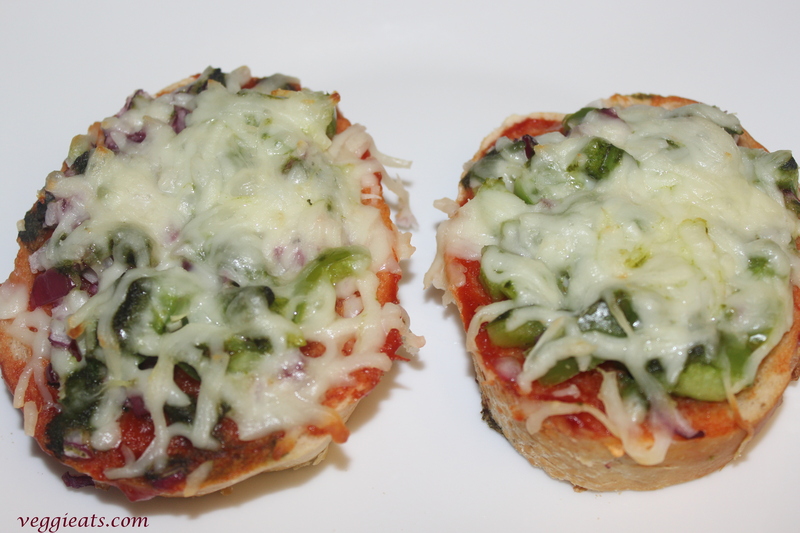 Add 2 tbsp of onions and bell pepper on top and sprinkle grated mozzarella cheese generously on top of it. 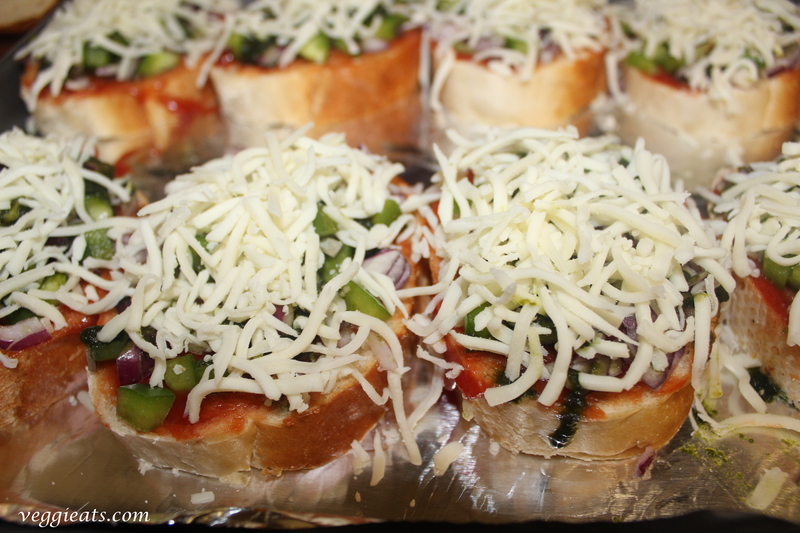 Bake for 12-15 minutes or until the cheese melts. 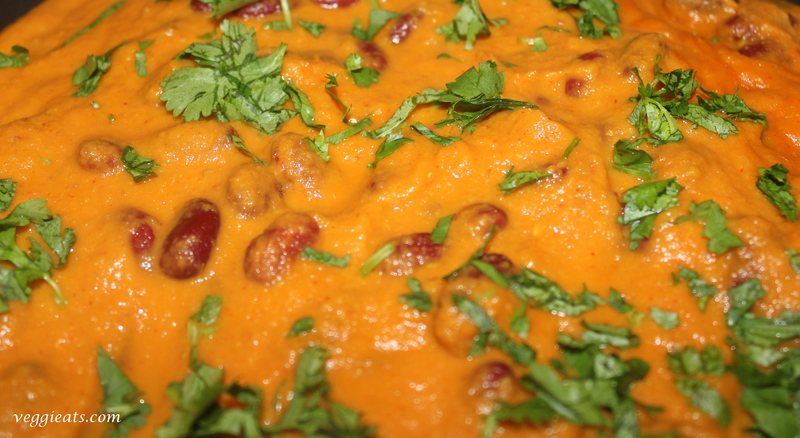 Rajma is a popular Indian vegetarian dish consisting of red kidney beans and a thick gravy consisting a lot of Indian spices…It is part of a regular diet in northern India but its popular all over India and overseas too. 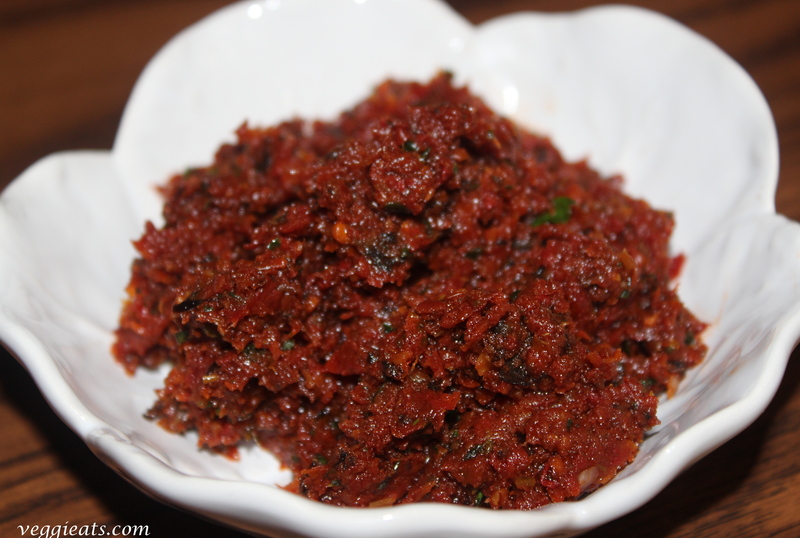 It goes really well with rice or roti (wheat flat bread). 1 (14 oz can)-Red kidney beans, drained and washed. If using raw beans, take around 1 1/2 cup of beans and soak for 6-8 hours and pressure cook the beans until done (2 whistles). Heat oil in a pan. Add cumin seeds, allow it to splutter. Add onion, ginger garlic paste and green chillies. Sauteè until onions turns translucent. Mix in chopped tomatoes, red chili powder. Turn off the heat. Blend the mixture once cooled. Then bring back to heat and add garam masala. Now add the drained kidney beans and mix well. Cover the lid and cook for 8-10 minutes under medium heat. Garnish with chopped cilantro and add a tbsp of butter and cover the lid. 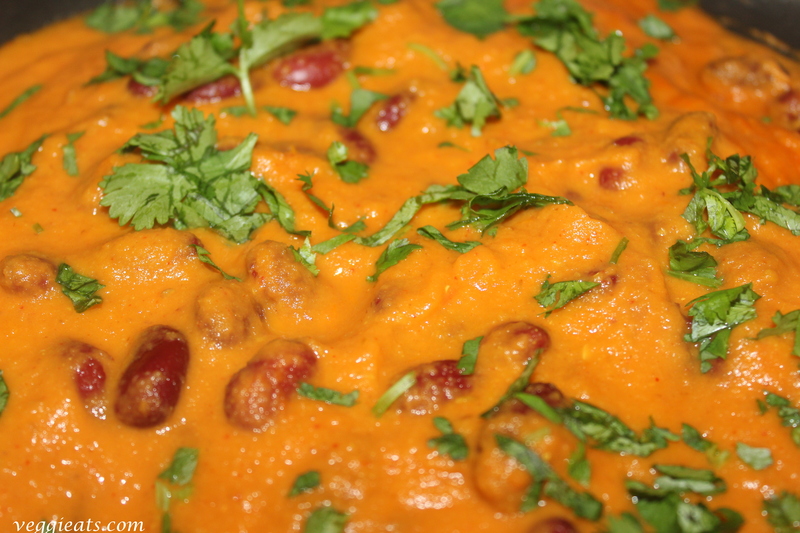 Serve with hot rice or rotis. This dish mainly originated in mid twentieth century. Some believe that it was a sauce created by a restaurant owner … Petti who was near closing his restaurant one evening, found a group of customers sitting at one of his tables, Petti was low on ingredients and told the customers he didn’t have enough to make a meal. They started complaining and said it’s too late and they are hungry. “Facci una puttanata qualsiasi (Make any kind of garbage),” they insisted. 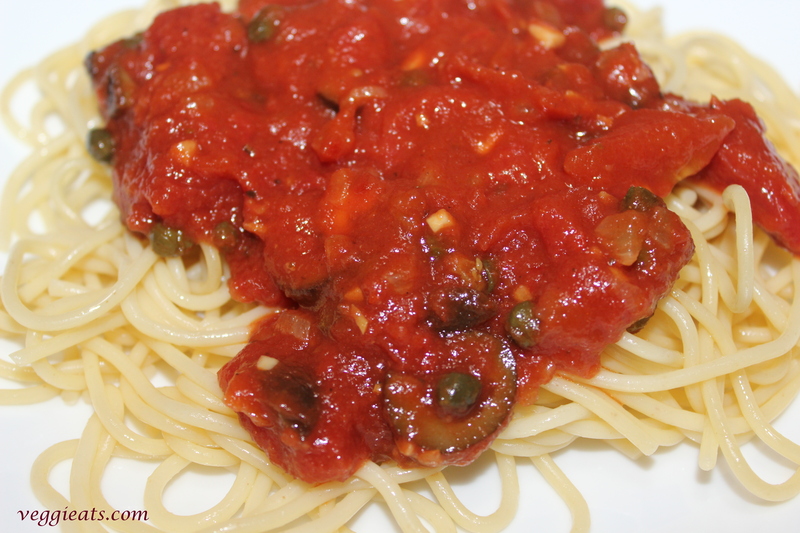 At that time Petti had nothing more than tomatoes, capers and olives, so he used them to make a sauce for the spaghetti and later from then he included this dish in his menu as spaghetti alla puttanesca- source history of pasta puttanesca. 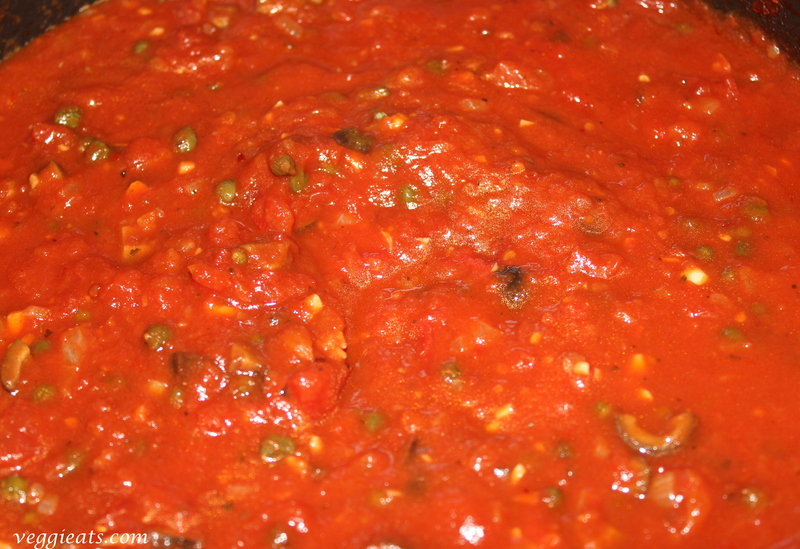 I personally love this sauce, it has wonderful taste of capers, olives, tomatoes and herbs. 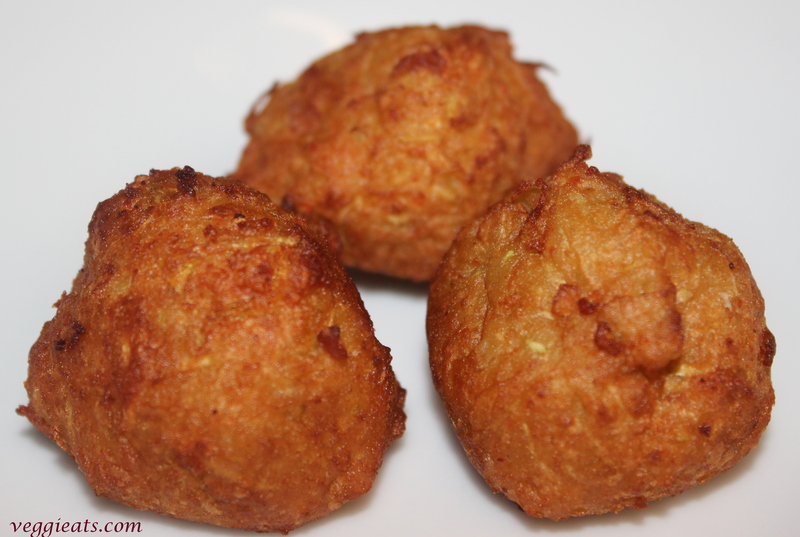 Its jam-packed with intense flavors and very simple and easy to make. Heat a large skillet over medium heat, add oil, chopped onions, garlic and red pepper flakes. Sautee until the onions and garlic are translucent. Then add chopped olives, capers, tomatoes and bring them to boil. Simmer and heat the sauce for another 8-10 minutes. Add pepper and salt according to your taste and garnish with parsley. 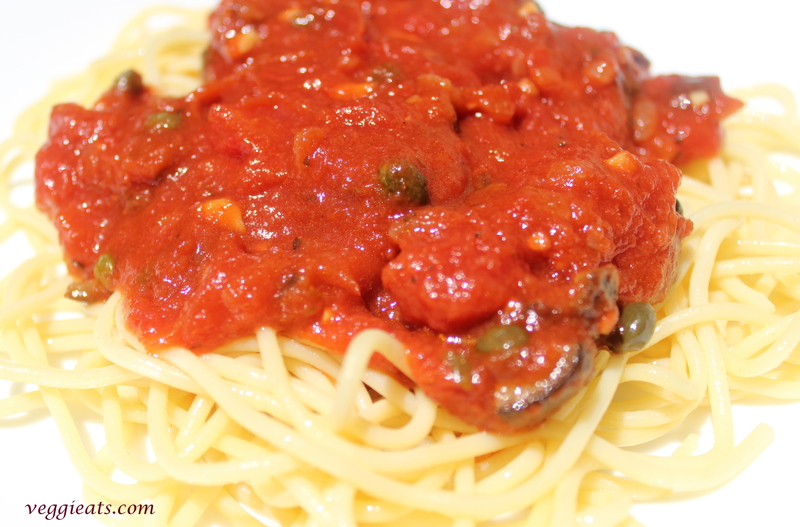 Toss the sauce with pasta and serve with bread and cheese/olive oil, vinegar mix.